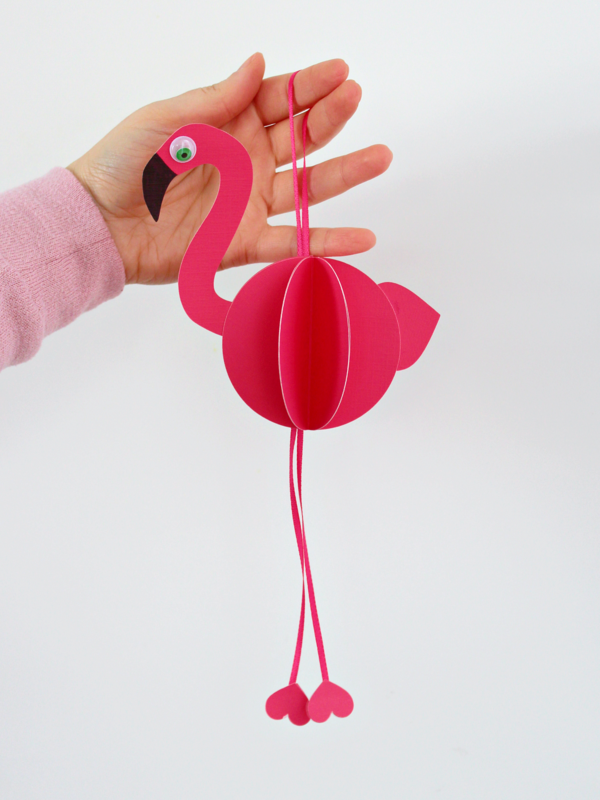 Here is another flamingo-inspired Valentine project for you, friends. I’m not sure what it is about them that makes me think about love. Perhaps their colour? Whatever it is, they make a cute subject, Valentine’s or not! For this project, you will need a Silhouette CAMEO (which is what I use for a lot of my projects). I’m not a good free hand cutter. You can certainly try that though, or substitute with a circle punch, but some free hand cutting will still be required for the other shapes. 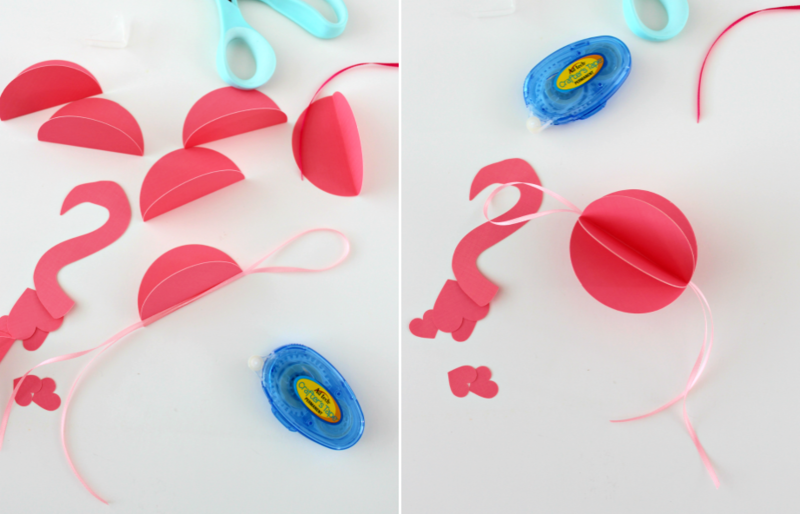 Then once you cut the shapes, assemble the ornaments with my tutorial below. 1. Download this SVG file to get started. You will be able to cut all the shapes on one 12″ x 12″ sheet of paper. 2. 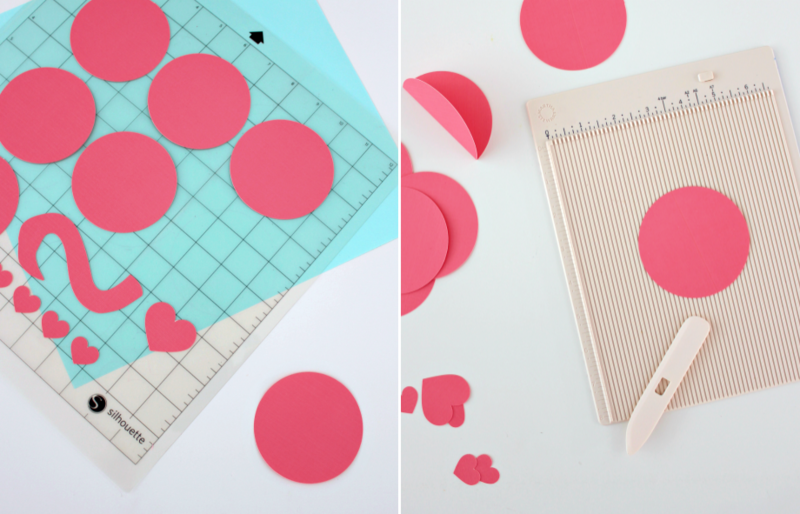 Score each of the circles right down the middle and then fold in half. 3. Cut about 3′ of ribbon and fold it in half. Use the crafter’s tape to adhere it to one of the semi-circles at the fold leaving about 2″ at the top. 4. Continue gluing all the circles together to complete the shape of the ball. 5. With the marker, colour in the flamingo’s beak. 6. Use the white glue to glue a googly eye to the head. 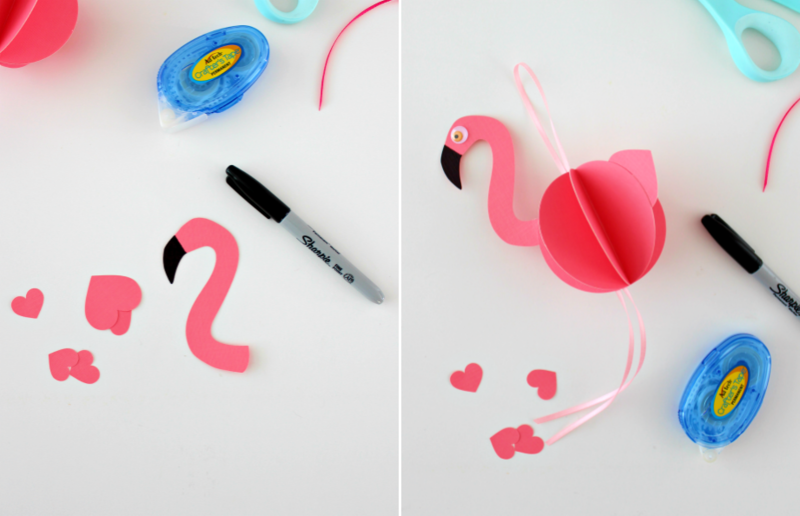 Adhere both the neck and tail to the flamingo with the crafter’s tape. Then attach the feet to the bottoms of the ribbon by adhering the small heart shapes back-to-back upside down. 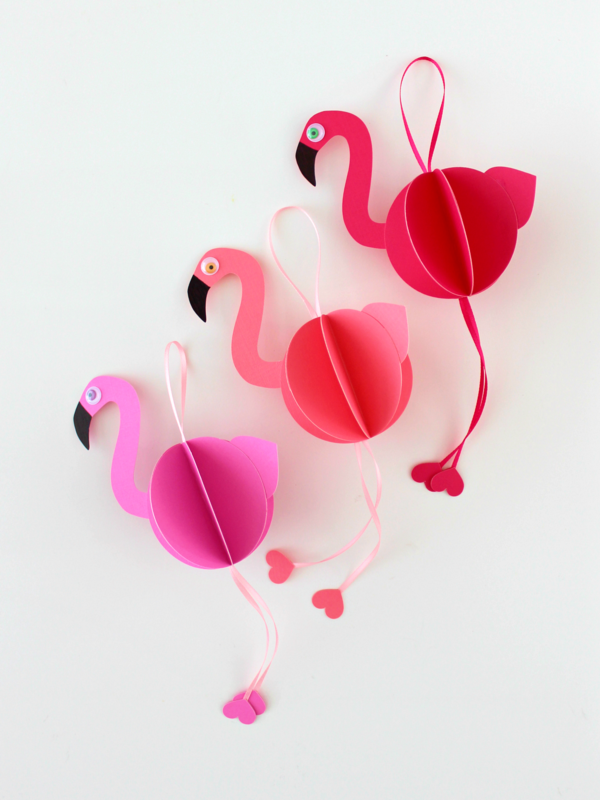 Total project time: about 30 minutes for three flamingo ornaments. I hope you enjoyed this project, friends. Thanks for stopping by to take a look!